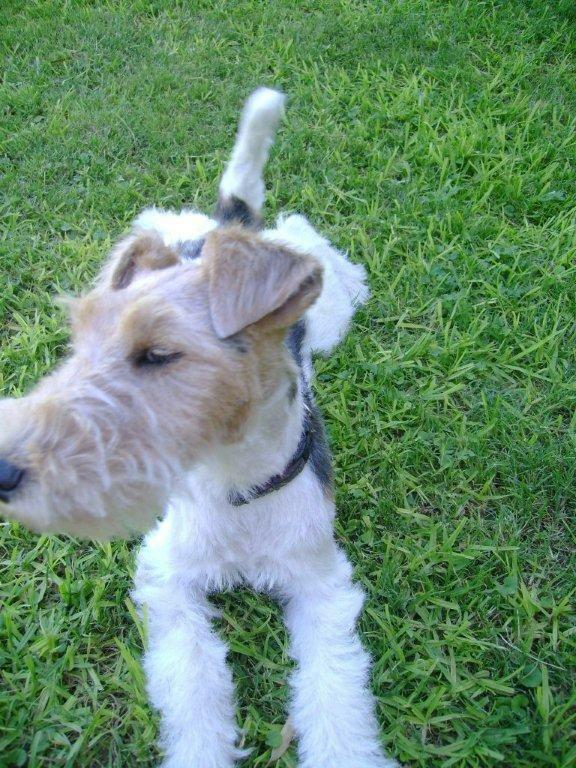 With his quick, good humor and frisky love of life, the Fox Terrier ranks among the most popular breeds in the world. With good reason!! His ability to learn is phenomenal, his training a breeze. He's compact enough to fit into the most modest of apartments. He's tolerant, playful and he makes an excellent companion for children. Best of all, his tail seems to be in perpetual motion. He just can't contain his joy for living. Where would you find a merrier pup?? Although the Wire-haired is the older of the two in ancestry, it was the Smooth-haired who was first designated Fox Terrier. He came into prominence as a separate breed in the Birmingham (England) Dog Show in 1862. It took ten years more for the Wire to be specially designated (1872). 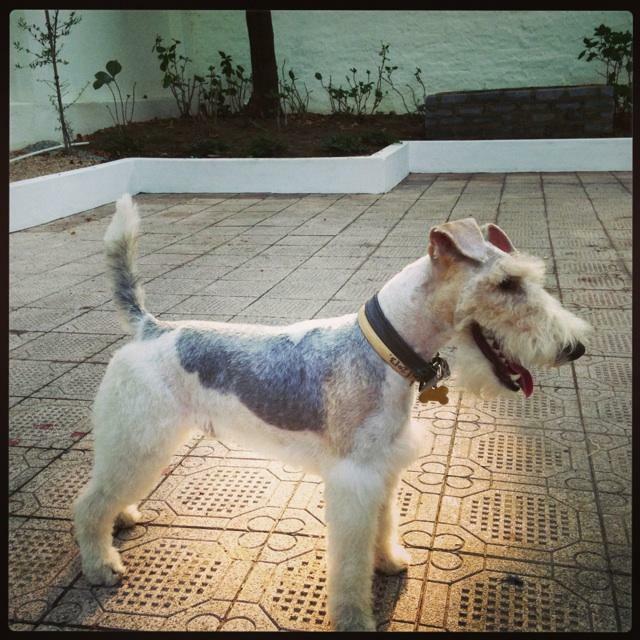 If any one word would be used to characterize the well-bred Fox Terrier's appearance, it would be Square. The Wire is even groomed to futher this effect. The head is almost a rectangle, set on a straight neck which is, in turn, set on an almost square frame. The front legs come straight down, with virtually no bend - a rugged, straight-hewn dog. Size: Male: 39,5 cm / Female: proportionately smaller. Male: 7-8kg / Female: 7-7,5kg. The Wire Haired Fox Terrier fearless and ever-ready, the breed also makes an excellent family pet, exspecting to join in every game. His value as a guardian is greater than his size!! His loyalty and courage are legendary. To him/her you are the Wise, the Marvelous, the Very Reason for his existence. Your smallest gesture is a great gift. He takes your scolding to heart and responds to the slightest praise with bounless joy!!! He is contsantly on the alert, and always happy!! Why??? 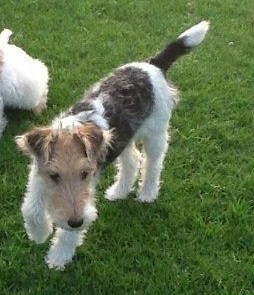 He is a FOX TERRIER !! !! !! Yorma Puppies that grew into stunning adult Wire Haire Fox Terriers !! ! !